Is safety a core value in your organization? Or just a first priority? Is there a difference? Right beliefs drive right behaviors; and right behaviors are what keep us safe on the job. As important as compliance is, it is no substitute for embracing safety as a culture and a way of life. Join us for this unique event as we embark on a journey to transform our understanding of safety as a compliance regulation we follow and enforce, to a way of life and culture we lead. Bring our workshop in-house and let us train and develop your leaders and safety coaches in a way that is tailored to your environment! Download a sample brochure, and contact us for details! 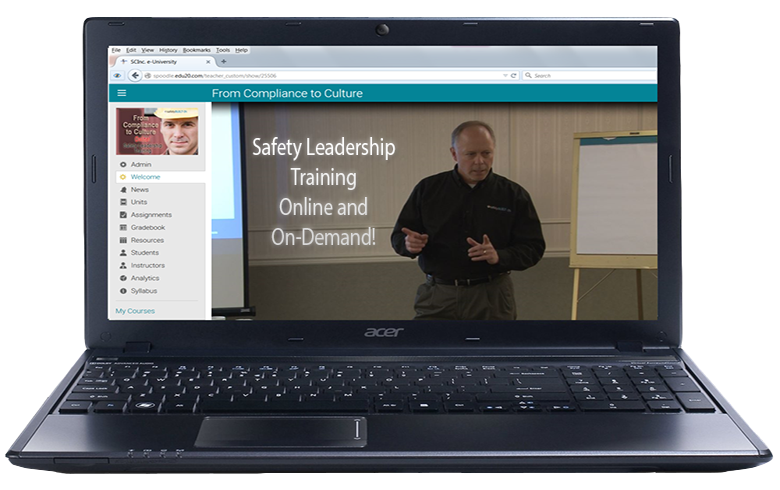 Network, interact, and share best practices with peers, colleagues and other leaders of safety who, like you, want to take their company’s safety culture to the next level. Take away proven tools to help you build, lead, communicate and coach a sustainable safety culture that is based on shared core values, regardless of your industry! 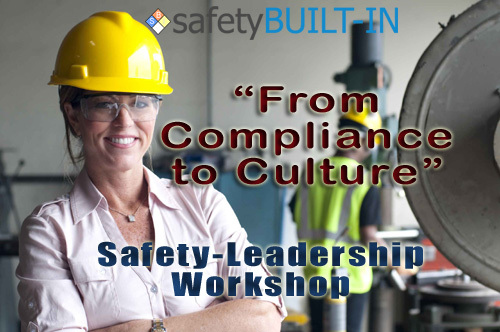 Attend our two-day foundational safety-leadership workshop, From Compliance to Culture, to learn how to personally lead a safety culture in your sphere of influence. Attend our two-day follow-up Train-the-Safety-Coach workshop to become fully trained on how to implement our From Compliance to Culture program, company-wide, in your own organization, a program that has been shown to consistently reduce recordable incidents by as much as 40% in the initial year of its roll-out. 8:00am-10:00am What do we think and believe about safety? 10:00am-12:00pm How do we communicate safety? 1:00pm-5:00pm How do we lead safety? 8:00am-12:00pm How do we coach safety? 1:00pm-3:00pm How do we practice safety leadership? 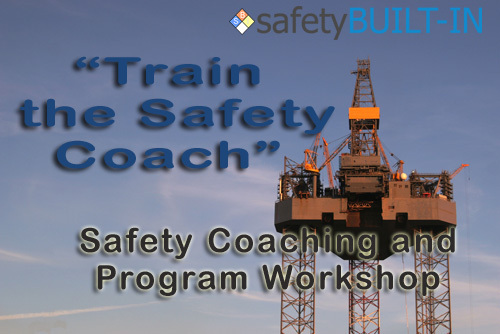 To register for a workshop, please visit our safetyBUILT-IN Store. As a bonus, all registrants will receive as a part of their registration a login and password (issued during the workshop) to download a free copy of our “From Compliance to Culture” e-book–a $100 value, yours free to use as a guide for your own safety-leadership culture change!